Concentrated sherry notes on the nose along with a delicate sweetness of vanilla and toffee. Raisins, Demerara sugar and a pleasant touch of dark chocolate emerge, followed by a hint of earthy notes and subtle oak spice in the back. Gloriously aromatic with an elegant intensity. 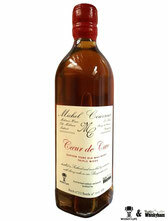 Bold, rich and intense on the palate with a massive sweetness of sherry, raisins and caramel. Lots of lingering nutty flavours arrive, nicely mixed with a warming blend of pepper, spiced oak and slightly bitter notes of leather, supplemented by a herbal touch towards the finish. Mouth coating and well rounded. The finish is medium long to long, slightly warm and creamy with caramel and burnt brown sugar, followed by slightly drying notes of oak and bitter dark chocolate on the tail. Vibrant, with a tamed sweetness and less sherry flavours on the nose when water is added. In contrast, the oaky spiciness is slightly increased. Still sweet on the palate with sherry, raisins, followed by lingering nutty flavours. Sugar sweetness returns, before spicy notes of oak and pepper take over leading to a warm and gentle finish. The finish is medium long, creamy with vanilla, slightly bitter nutty notes and a hint of leather on the tail. A beautifully composed and delicate dram. Nicely complex, elegant and well-balanced. The rich and sweet character blends quite well with the richness of the sherry casks and the intriguing warm oak spices. An additional 5-months maturation in over 80 years old Harvey's Fernando III-Oloroso Sherry casks has added depth, complexity, rich sherry flavours and this splendid nutty flavours. An excellent single malt at a reasonable price.